Happy Tuesday everyone! 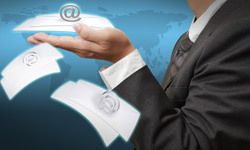 Have you been staying on top of what’s been going on in Internet marketing? If you’ve missed out, here are some good articles to keep you in the loop: 5 Google+ Insights, Resources and Tips for Business – Plus Infographic; 8 Ways to Find Old URLs After a Failed Site Migration – Whiteboard Friday; Conversion Rate – The Cheapest Way to Double Your Profitability; 5 Small Business SEO Campaign ROI Secrets; and Getting The Maximum Number Of Links From Your Infographic. With over 900 million users, Facebook is the social network to be reckoned with. Therefore it’s a no brainer that Google is swooping in on the action. 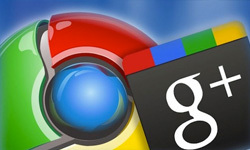 Facebook has established a prominent fan base; however, Google+ is attracting users through a more business related platform. 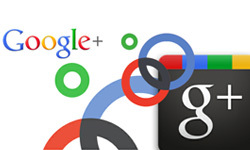 Is it time for your switch from Facebook to Google+? Check out these highlights and figure out what’s all the “Plus” is about. Here is another informative video from SEOmoz outlining the many ways to avoid the frustrations when hunting down old URL’s. Michael King shares a few essential tools to make tracking down your previous URL’s easy and affective. It’s important for a company to fully understand how to maximize their conversion rate. Do you want to learn how you could potentially double your online profits without having double the spend? Check out this article from Business 2 Community and learn how to safe money and double your profit. Infographics are so hot right now! They have proven to be an effective source to increasing backlinks to a specific website. How can you make get the most out of your infographic? Concept, research and design are key to gaining links. Prefect you have all the components, now you must encourage sharing. Read this article to get sharing insight for your infographics. Is It Time to Rescue Your PPC Campaigns?